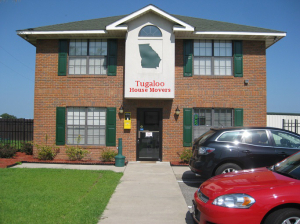 For the past 40 years, Tugaloo House Moving has been elevating (raising), leveling (straightening), and moving houses and buildings in over six states. We are centrally located in Hartwell, G.A., which easily allows us to work in Atlanta, GA, Savannah, GA., Brunswick, GA. Greenville, S.C., Charlotte, N.C., Hilton Head, S.C., Beaufort, Walterboro, Edisto, Folly Beach, Mt. Pleasant, Sullivan’s Island, Isle of Palms, Georgetown, Pawleys Island, and, of course, All north Georgia and mountain regions. We elevate/raise buildings to help meet FEMA/flood regulations and for new foundations. We can raise your roof, elevate your building for extra space at a fraction of the cost of new construction. We use the modern Unified Hydraulic Jacking Machine for any building elevation and relocation to insure that your home is moved or lifted with the very best care.